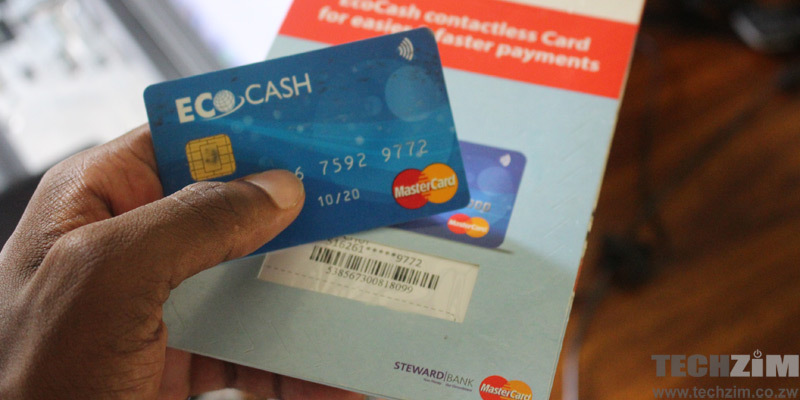 EcoCash, the country’s largest mobile money owned by Econet Zimbabwe has announced another reduction of its monthly transaction limit for its MasterCard Debit card. Cardholders can now only transact for up to US$400 per month. This limit is split, with US$200 set for ATM cashouts and US$200 for POS (point of sale) transactions and virtual payments which cover online purchases. This is the third reduction of transactions from EcoCash. In October 2016 it set its limit at US$1,100 and then revised this to US$500 in December 2016. During the same period, EcoCash also stopped processing payments for pay TV service DStv. The move also comes in the same week that Standard Chartered Bank announced the cancellation of Visa payments outside the country. With Zimbabwe facing a foreign currency shortage local financial service providers are faced with the challenge of honouring payments made outside the country which they are failing to do because of depleted Nostro account balances. EcoCash’s move and the actions taken by banks like StanChart will likely be followed by other institutions throughout the year. ooooh my god so yu are unable to do anything dude. so what cld possibly account the validity of the mastercard my man???? This is really a quagma situation. i have a question..how does the monthly thing work…is it per 30 day period or i can get 400 at the end of one month and another beginning of a new month?